She is an awesome graphic designer, is momma to her two beagle babies, adores riding her horses and is planning her wedding to her stukkie. Right, so part two: share 7 things about yourself… I will try and keep these as new things you might not know about me… if they are nothing new to you, then you know me too well! 1) I really like rocket! Especially fresh, on pizza! 2) Bright hot pink nail polish is my absolute favourite! 3) I think an engagement ring should be more about the sparkly stone/s than the metal. 4) I hate having a pedicure. I wish I loved it. Having pretty toes is awesome, but having someone fiddle with my feet freaks me out. 5) I *love* having my eyebrows done! Waxed and tinted. I have a friend with a beauty salon from home and she does the *best* eyebrows. Sheesh – I dont know if I even read 15 blogs, let alone 15 NEW blogs, so i’m just gonna list my 15 favourite bloggers, the ones whose blogs I visit most often, ok? 2) Mama MeeA – awesome Mama to many children. She homebirthed her 4th and is an inspiring mama! 4) Pinkhairgirl – another awesome mama who i recently met IRL. She is beautiful, inside and out! And she probably the most gorgeous pregnant chick i have *ever* seen! Oh, and her kids are *flipping* CUTE! 5) Jeanette – not only is she the fabulous photographer who will be photographing our wedding, but she is mama to 2 beautiful boys and 2 beautiful huskies! 6) Shayne – I love reading her day-to-day blogs about farm life! her blog is only open to invited reader, but she bakes beautiful goodies too, which is the link i’ve linked to. 7) Evergreen Design – my long time friend, horse lover and fabulous designer!! 9) The Jackson Files – funny lady who tells it like it is. Love reading her stories about her kid, they make me giggle! 11) Neigh-Bours – ok, ok, this is not *a blogger* but it is a site i visit daily, and I blog there as well, as do a lot of other horsey people. 12) My Panic Room – another just-about-neighbour! She’s having a bebe soon! 13) Harassed Mom – vegetable grower and curry maker! 14) JessicaGiggles – another gorgeous lady! Lover of sweet things and giver of awesome hugs! better late than never, hey? Rule number 2: State 7 previously unknown/random facts about yourself. Rule number 3 states that I need to pass on this award to 10 bloggers I’ve recently discovered, who I have found to be worthy of being called a Versatile Blogger. 1 – i cut my french toast in a very particular way. Corners first, making a smaller diamond shape, then cut off each corner (opposites first), making a smaller square, and so on… which leaves a small square at the end, which i cut into two triangles. 2 – i like my french toast savoury. With melted cheese and tomato sauce on. This grosses some people out, including Peter. He thinks tomato sauce on bread is for poor people, or something. 4- I normally spit in the sink everytime i wash my hands. This sounds grosser than it is. part 3 – who do i nominate… well, i nominate YOU!! 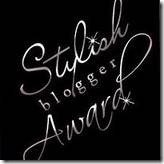 please leave me a comment with your blog and consider yourself nominated! First up, THANK YOU MeeA! How kind you made my day thanks chick! So, part one… 7 random fact… sheesh, I have so many random things already listed on my blog…!! Well, this award has been floating around for so long, it feels like most people already have it! So… if you read my blog and you HAVEN’T received it… leave a comment and consider yourself nominated! !